I took my usual big-tasting-event approach of drinks first and food second, but I know the food is what the majority of readers are curious about so figured I’d start with that to keep your attention 🙂 Buy-Rite Liquors wasn’t just sampling liquor though! 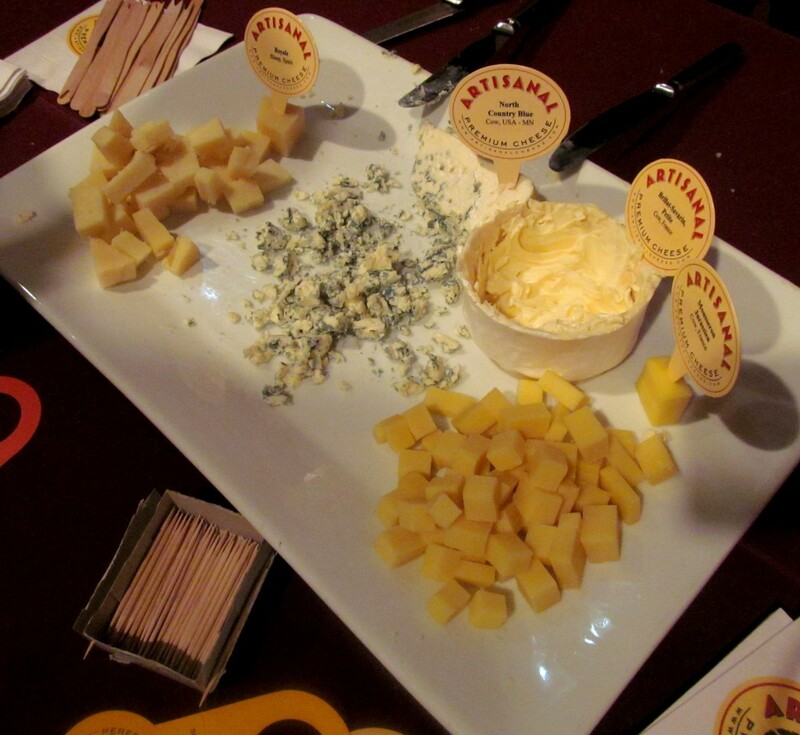 I found their Artisanal Cheese booth at the end and was sure to snag a piece of each. The guy working the booth jotted the cheese types down for me at an impressive speed: Royale, Brillat-Savarin Petite, North Country Blue (fave), and Mousseron Jurassien. Wethersfield may not be known for tapas but I’m confident Costa del Sol could change that. 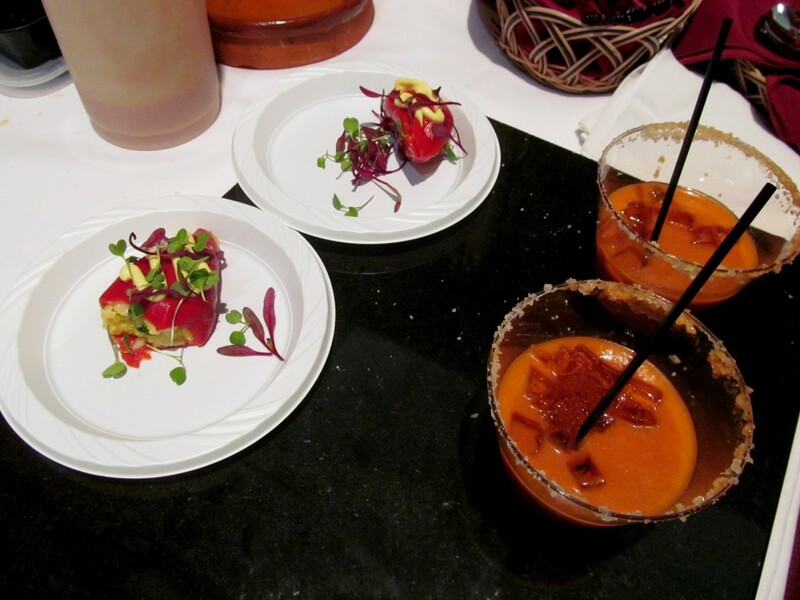 Check out this piquillo relleno (roasted piquillo pepper filled with paella salad) and “cocktail” de gazpacho (with sherry gelee in a salt-rimmed glass). Tasted as good as the presentation! 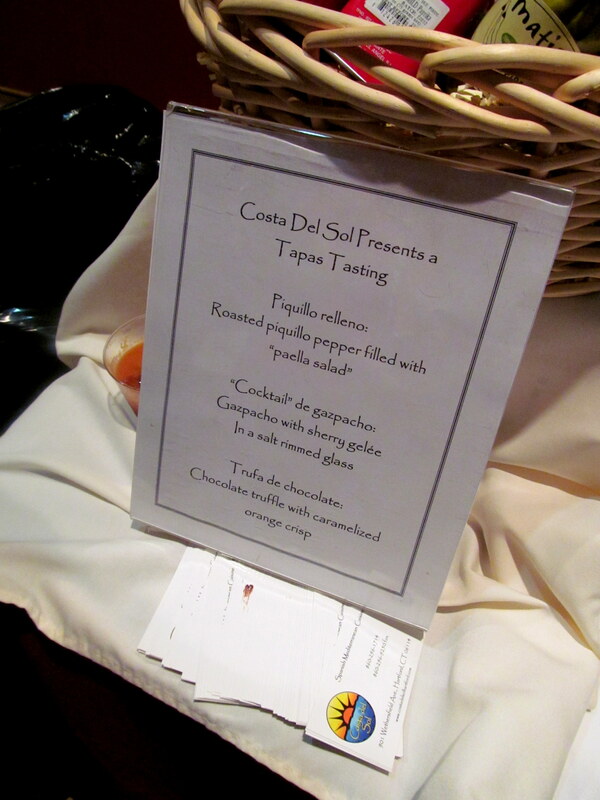 I try to prioritize stomach space at these events so I passed on Puerto Vallarta‘s typical Mexican food offerings. 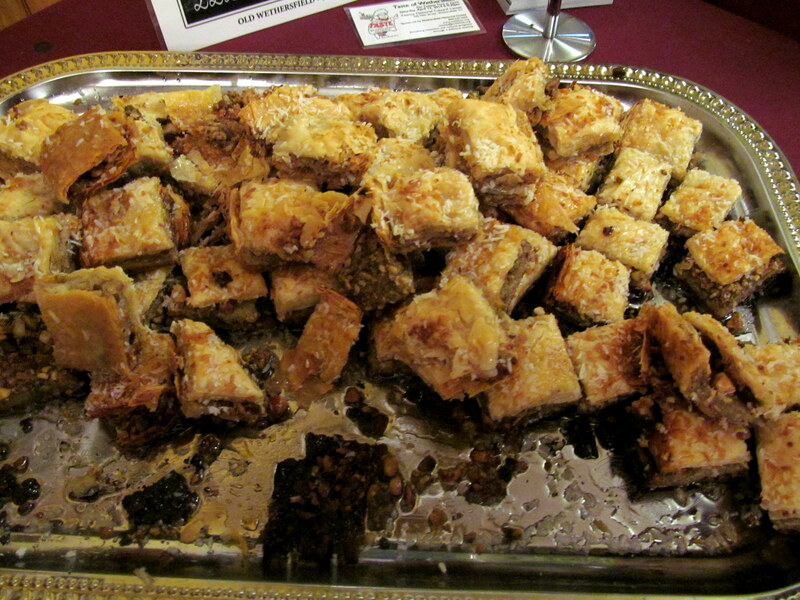 However I could NOT pass on the homemade baklava (!!!) from Lucky Lou’s! 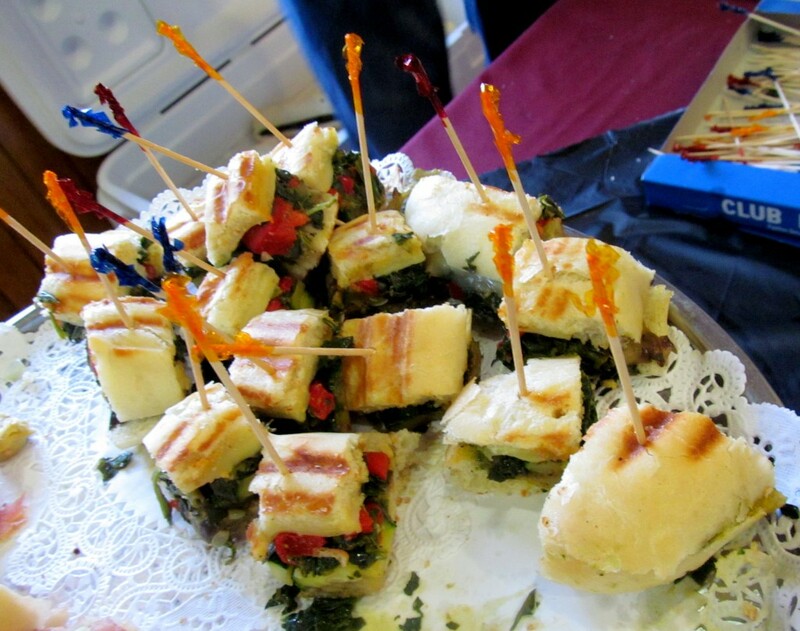 Lou himself was serving up both savory and sweet eats. Lucky Lou’s has a beautiful outdoor patio that gets packed in the summertime. I have a couple free app coupons that I received after Kaitlin and I did partner yoga in Wethersfield, and I really need to use them! 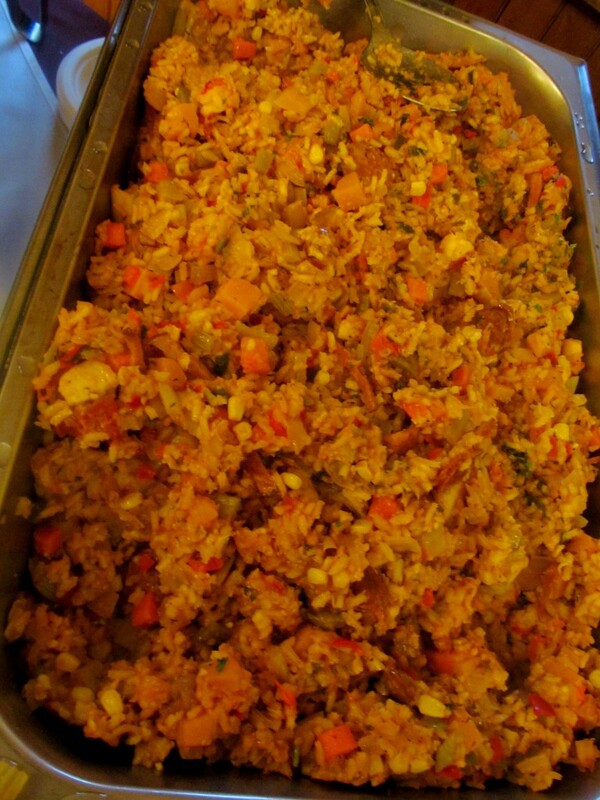 Just how I like my jambalaya – not too much rice! Lucky Lou’s has my FAVORITE sangria (and it’s hard for sangria to please me) and served it last year but alas, none this year. Rachel was sad. 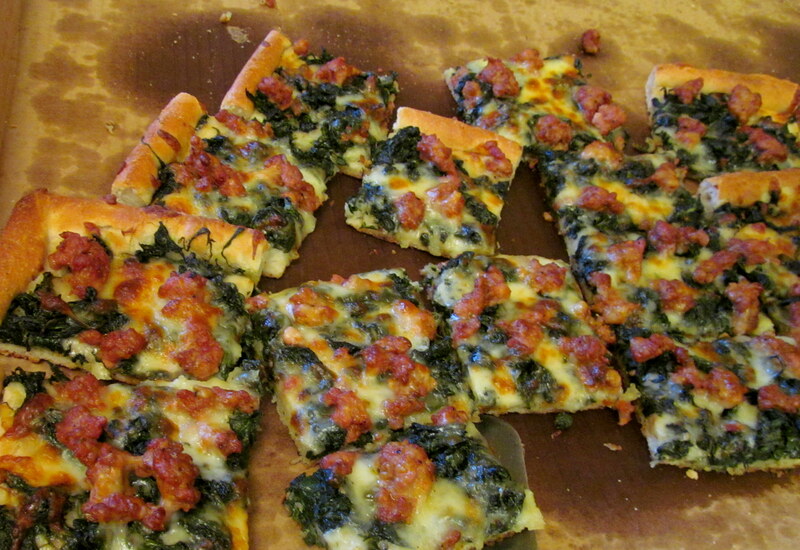 Village Pizza, right across from the event, had some deeeeelish spinach and sausage pizza goin. I don’t always eat pizza, but when I do, I drink it with red wine. 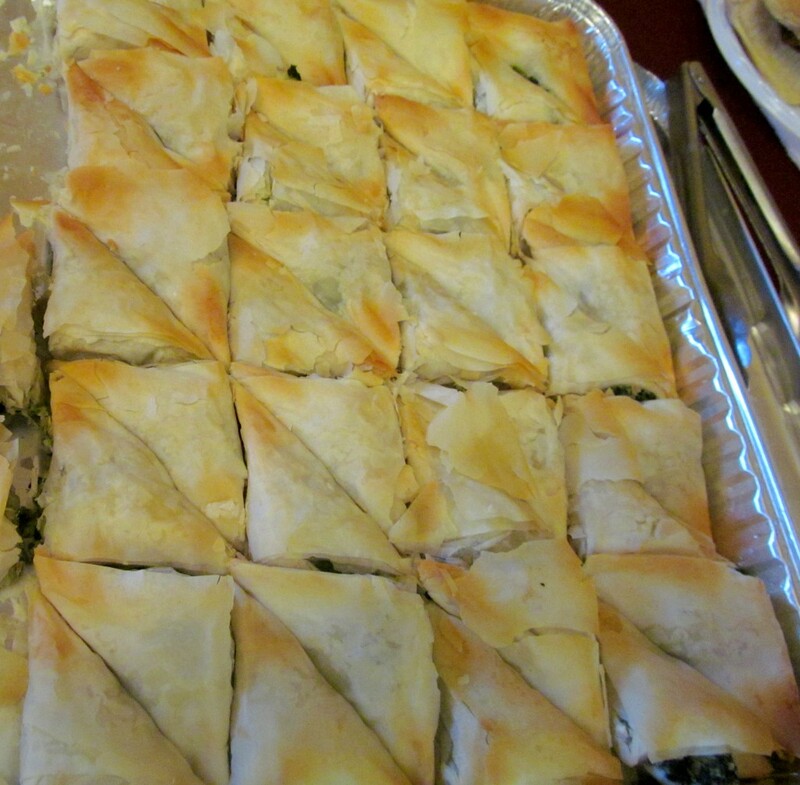 Baklava AND spanakopita?! 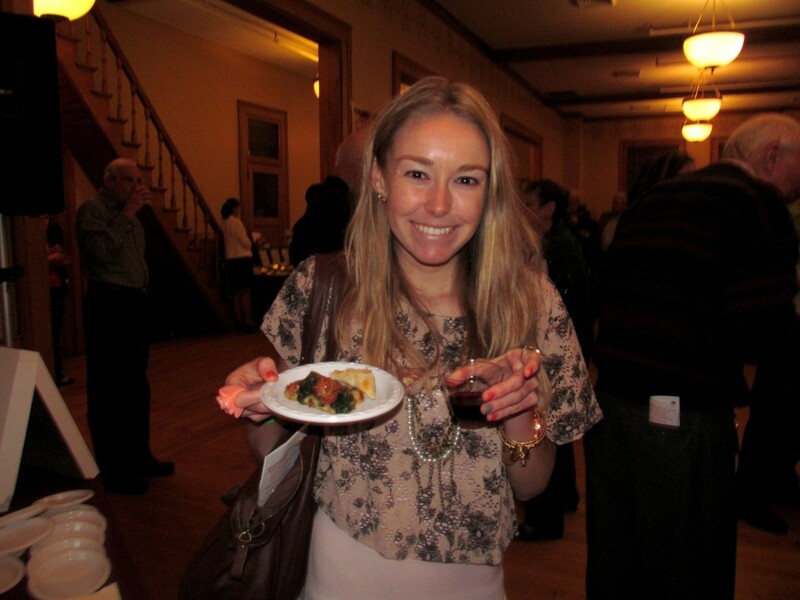 Taste of Wethersfield was goin’ Greek and I loved it. Sorry Kelly, didn’t mean to make you more mad that you couldn’t make it! Very cool that Villa Pizza had a non-pizza sample too. 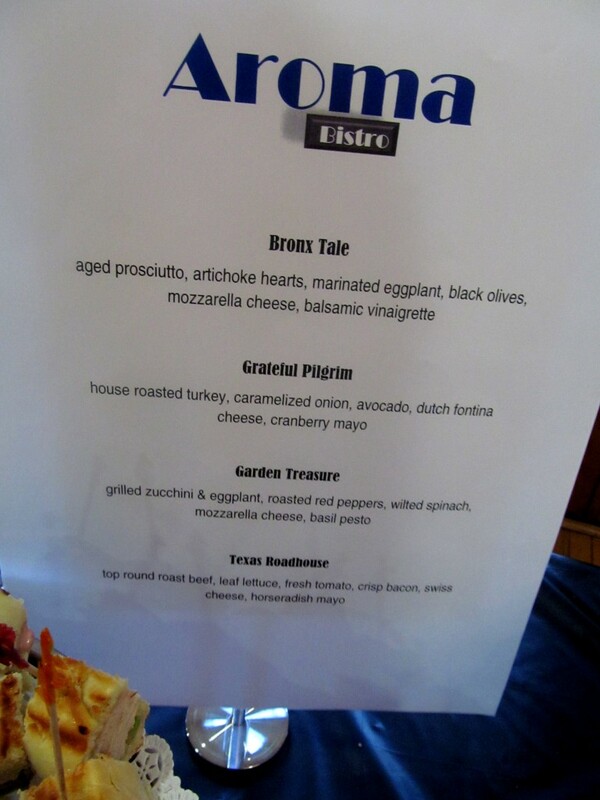 I don’t usually do sandwiches but I loved Aroma Bistro‘s little sampler bites. Which would you want to try most? I showed my mom these pictures and she was dyingggg over the flatbread. 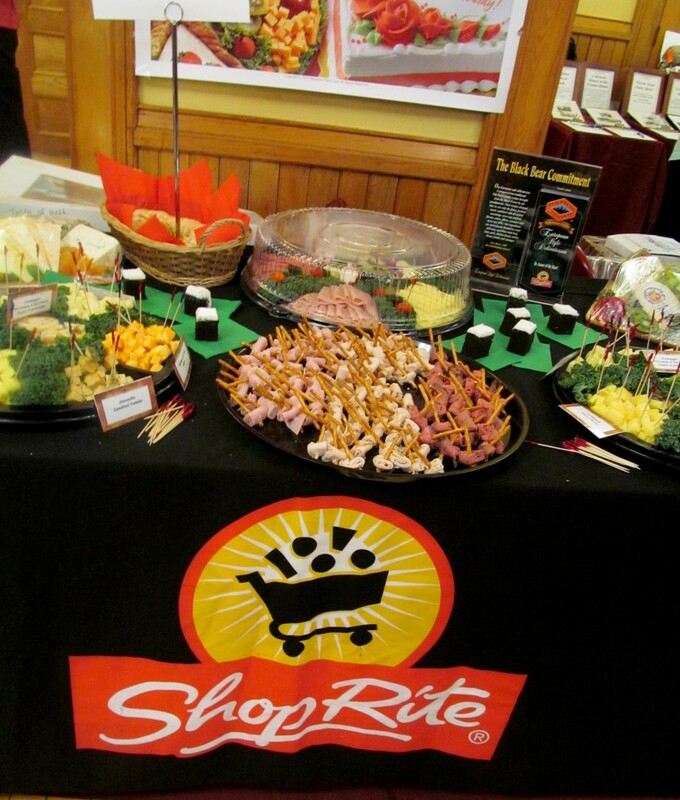 Can you believe this pretty display is from…ShopRite?! Don’t judge a brand by its cover! 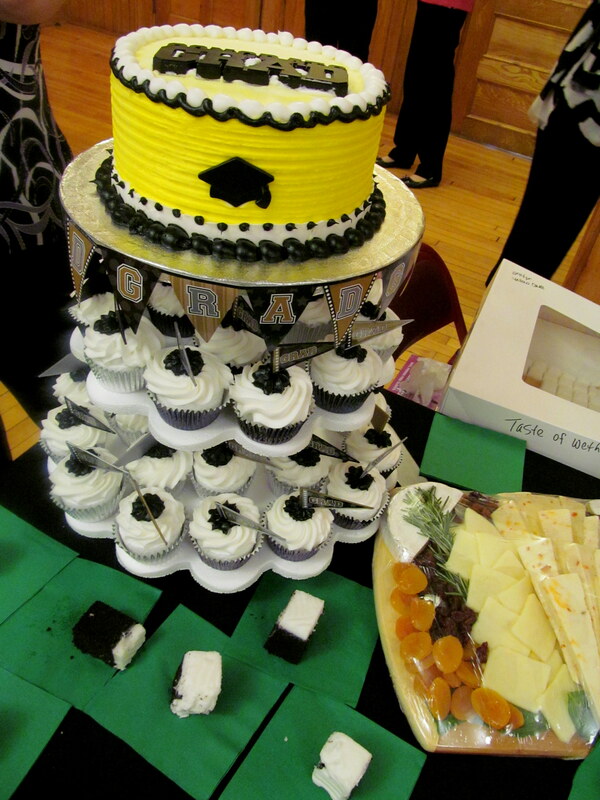 I passed on the not-so-interesting bakery cake and cupcakes but gotta admire ShopRite for milking grad season. Such a simple & fun party app idea! 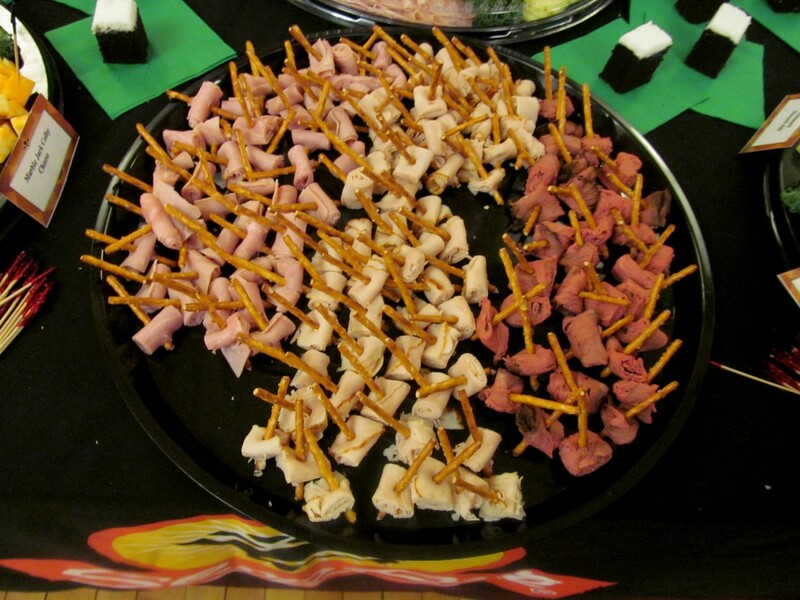 Meats rolled up with pretzel stick spears! 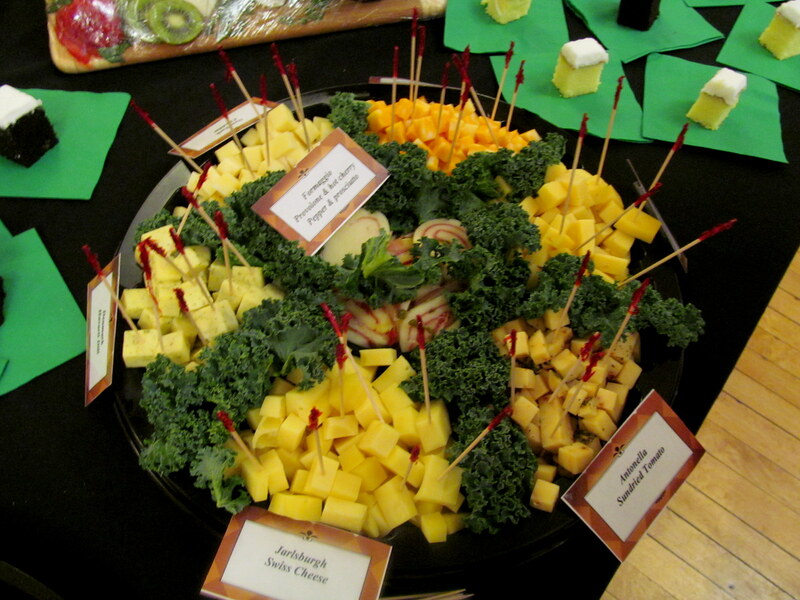 And how could I possibly pass up ALL THE CHEESE? Alex totally thinking of you right now. Sadly I committed a MAJOR faux paus and put my used toothpicks in a pile of toothpicks on the table. Thought they were dirty…nope, they were clean, for later use. So then the ShopRite employees had to throw out the entire pile. Sorry guys, and your cheese impressed me! 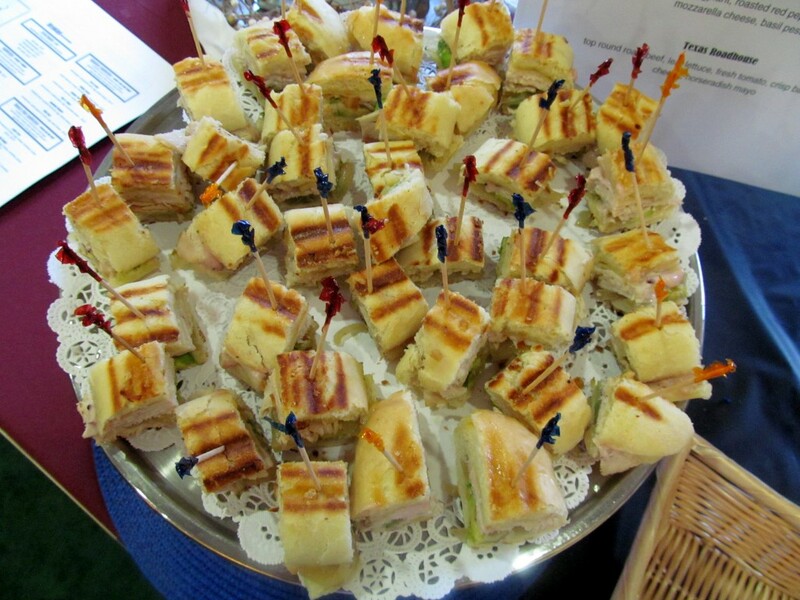 New to the event this year was Milagros Spanish Restaurant. 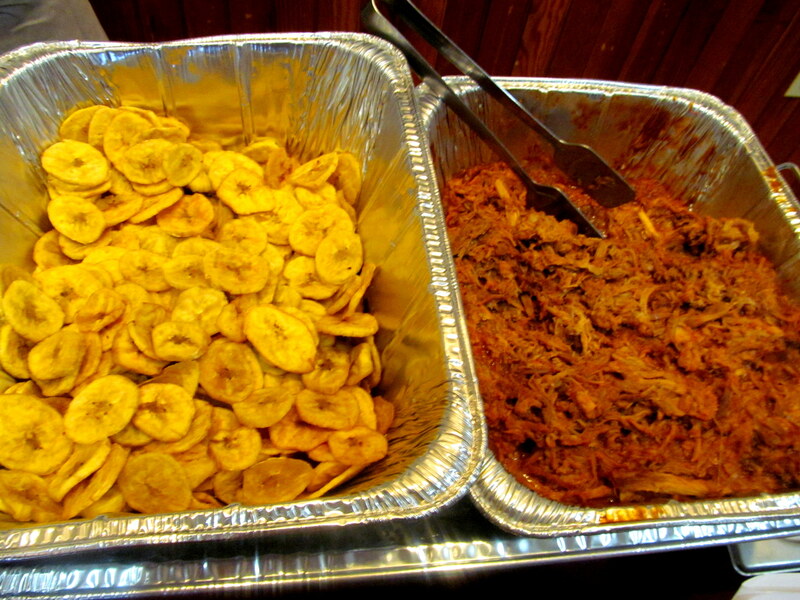 Their plantains and pulled pork definitely peaked my curiosity enough to make a mental note to check out the restaurant sometime. 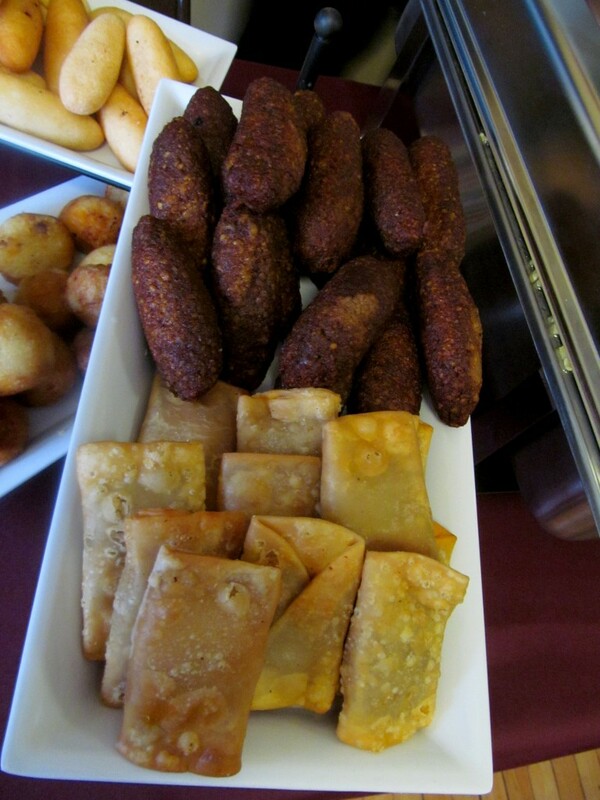 They even deliver (orders over $50) on Thursdays and Fridays and do catering. I’m not a big pasta person at all but will never pass up a chance to sample the fresh-made stuff. 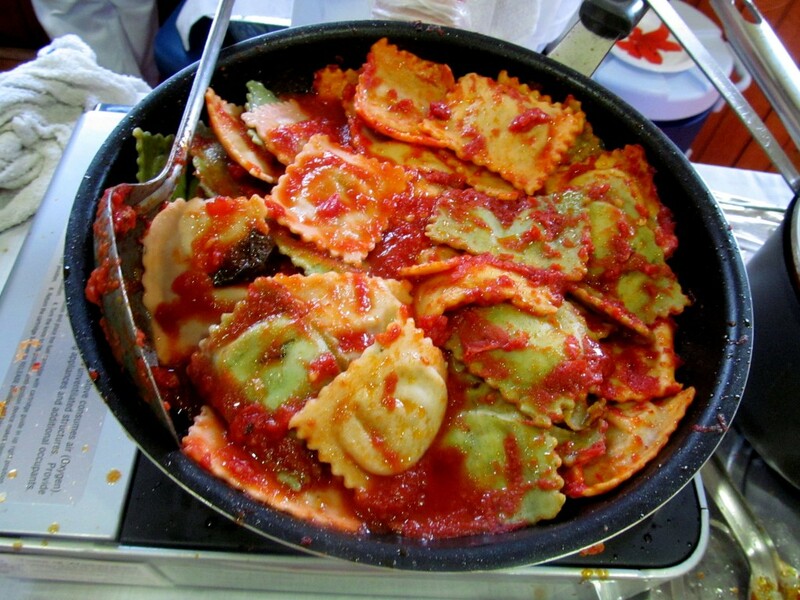 Carmela’s Pasta Shop blew me away with their ravioli just like last year. 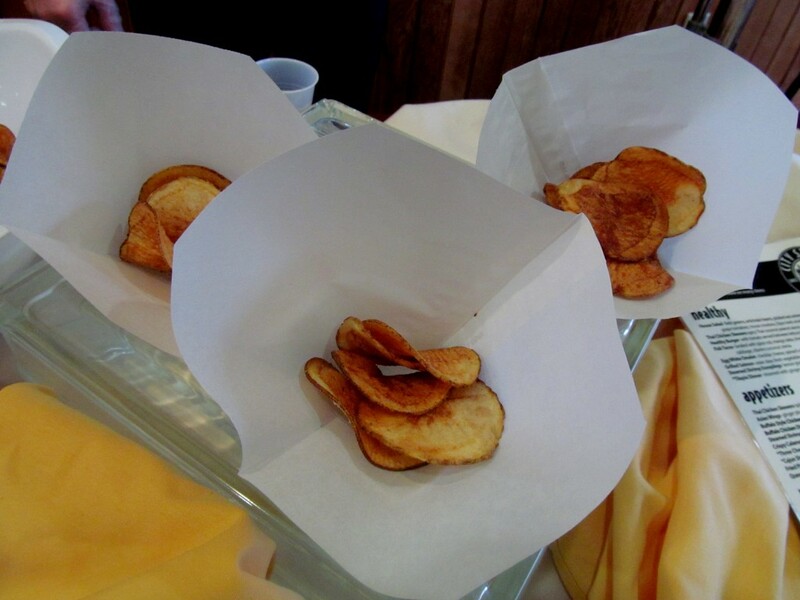 I did pass on City Steam‘s house-made potato chips because of my desire to save room for more interesting foodie fare but of course had some Naughty Nurse Ale. I really enjoy that beer each time I sample it! They had a menu at their booth too and Rachel and I oohed and ahhed over the food. So excited to use the gift card I got for judging the CHS Cookoff! 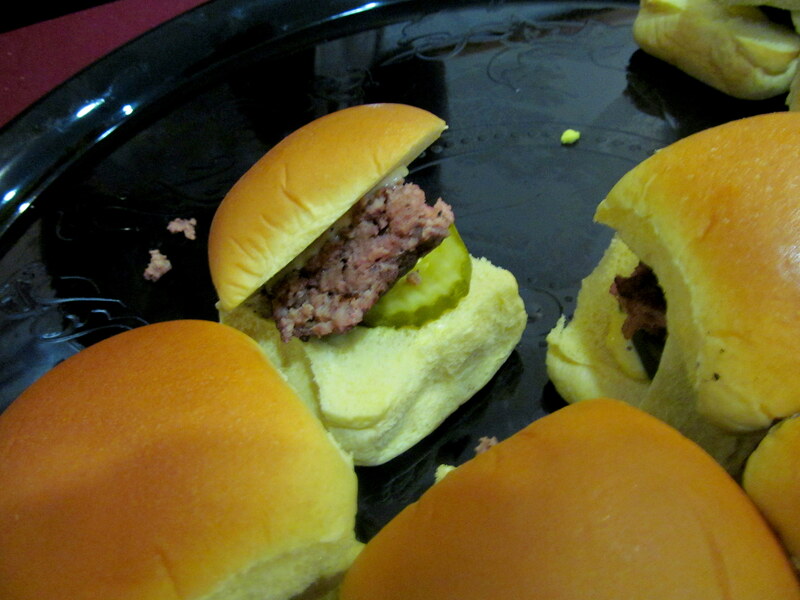 We split a Wood N Tap slider (minus all the bun) because look how nice and pink the center was…and look at the pickle! 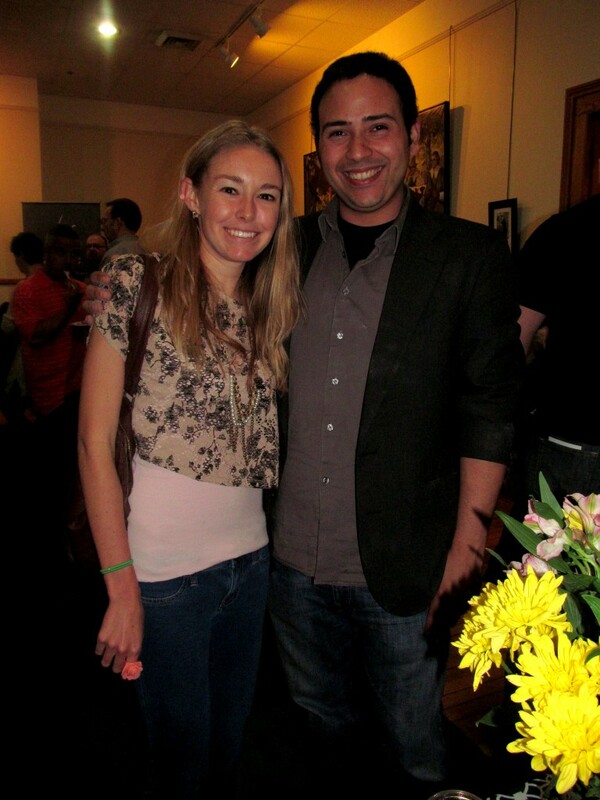 AND I got to see Hartford Restaurant Group‘s Jon yet again (after seeing him at Taste of the Nation). Always fabulous to run into each other at these events! I saw Cove Deli very close to my arrival at 6PM (the patron ticket holder event start time…general admission started at 7PM) but held off on sampling their offerings until after I’d had some drinks. 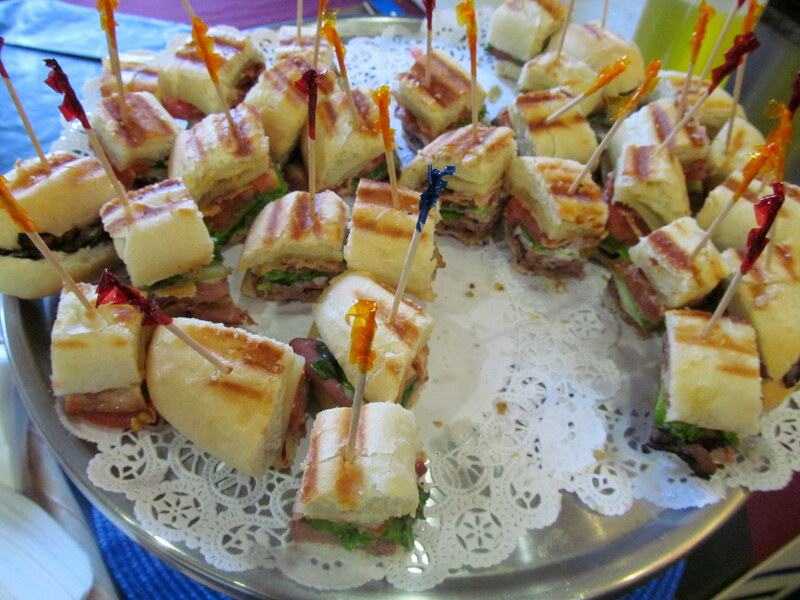 I ALMOST missed a couple of sandwich varieties as a result and am glad I came back around to their table when I did! The Grandmother: prosciutto, fresh mozz, tomato, basic, garlic mayo, balsamic vinaigrette. Rachel works near Cove Deli and has visited during her lunch break to sample the below sandwich, which blew my mind due to how rare (a good thing) the roast beef was. I excitedly complimented the employees on that fact, and one of them looked smugly at the other. Seems they may have been debating whether or not people would appreciate the rare beef! 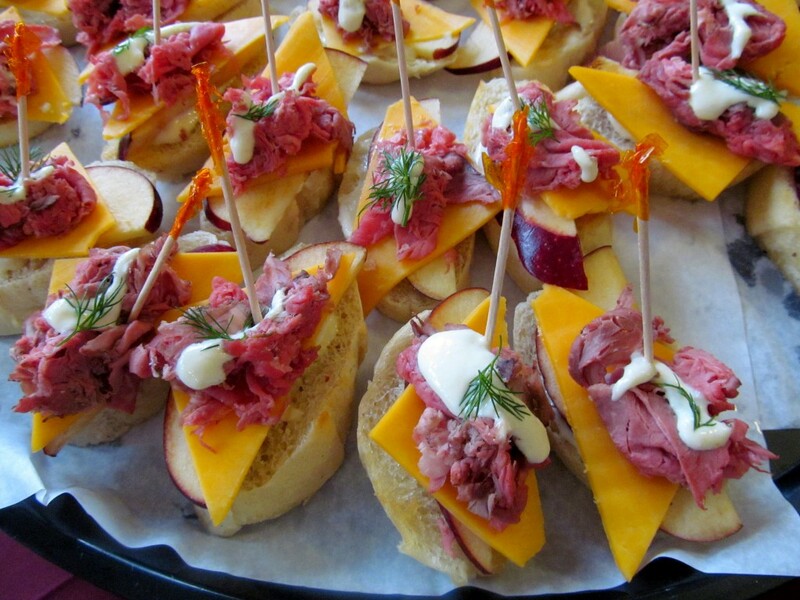 The George Washington: roast beef, yellow cheddar, lettuce, thin-sliced apples, horseradish, dill. Apparently the in-store version is served on PUMPERNICKEL! 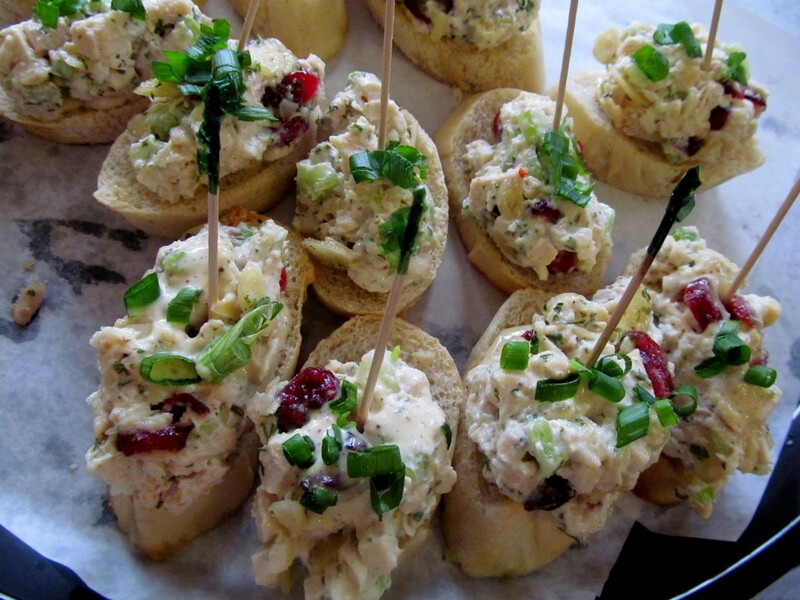 My favorite sample from Cove Deli though was the chicken salad below. I am a sucker for a good chicken salad, especially when ingredients beyond dill, celery, and mayo come into play. Funky Chicken (ha I love this name) Salad: housemade chicken salad, cranberries, almonds, chives. Usually comes on multigrain with arugula! 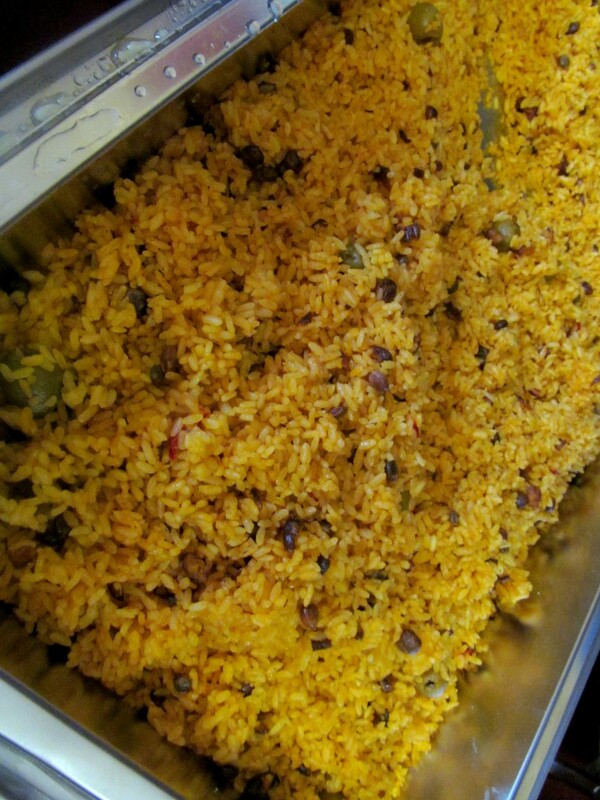 Comerio is a Puerto Rican restaurant in Hartford and their yucca with veggies tasted just as awesome as last year. 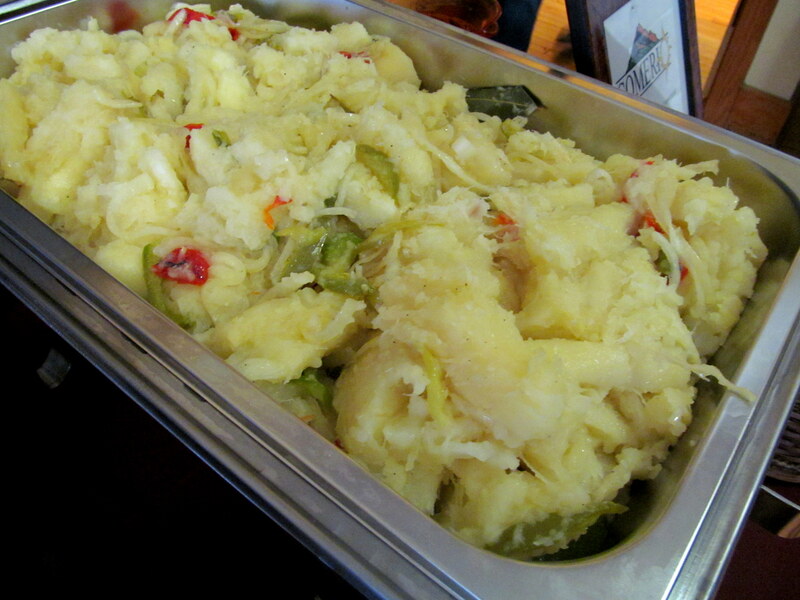 Kinda like a baked potato loaded with vegetables! I creeped the menu and totally want to visit with my friend Jill, who is always down to try weird stuff. 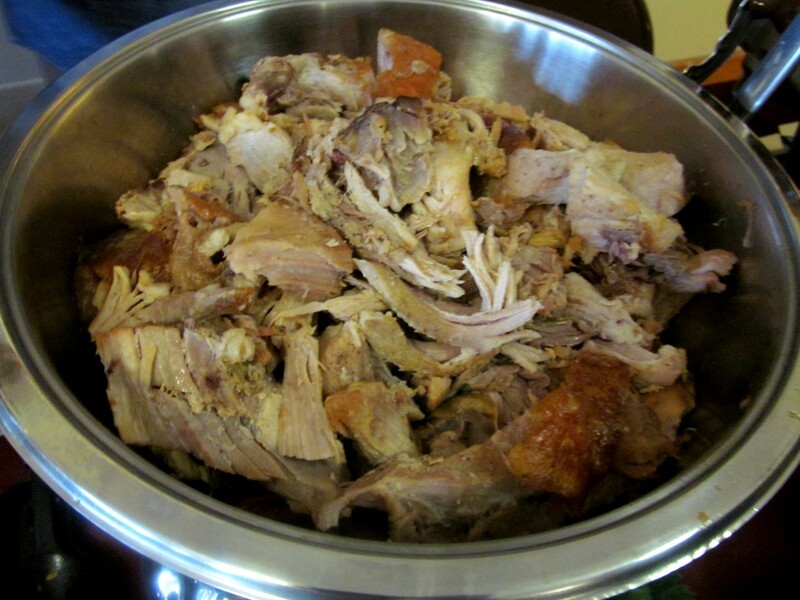 They have hog maws, gizzards, and pig ears! I don’t know what hog maws are but I want them! 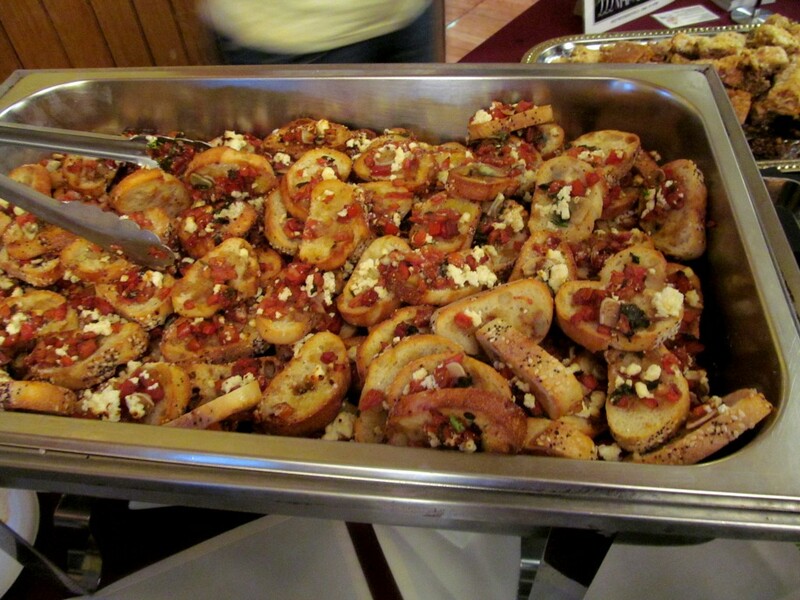 I don’t blame them for bringing more traditional (yet tasty) fare to the tasting event though. I didn’t have any rice (again saving room for more unique fare) but always a standard offering for the less adventurous. Here’s where the drinks-first-food-second plan totally screwed me. 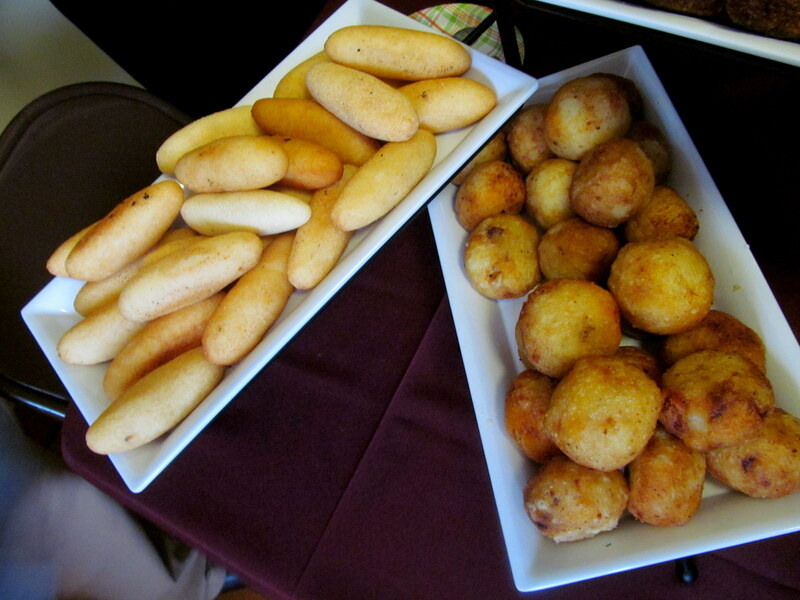 By the time I came back for these amazing fried things (cheese, beef, etc), they were ALL gone. 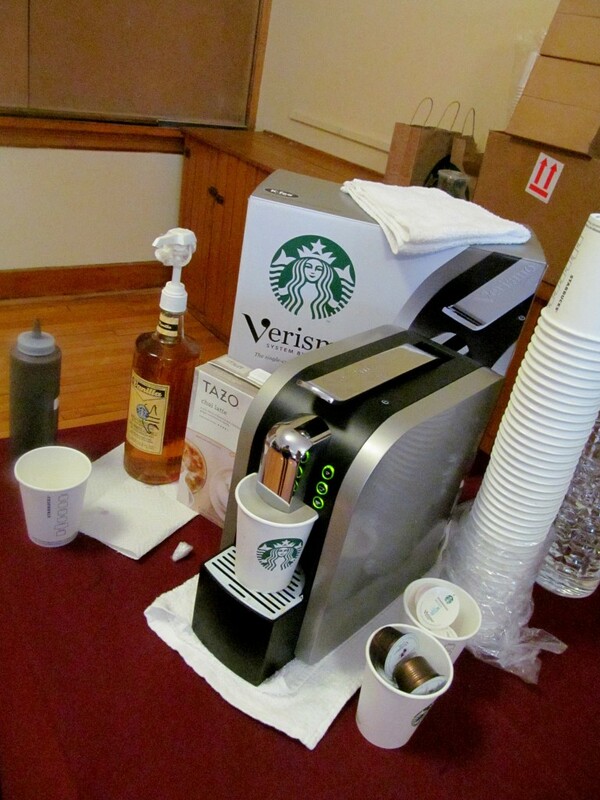 Seeing the Wethersfield Starbucks display of the Verismo in action reminded me of when I got to preview it at BlogHer before it was released! Rachel sipped on coffee at the very end of the evening and I helped myself to a tasty crumbled bar. I know Starbucks baked goods are something I can get every day but I don’t eat them every day, so it was nice to have a nibble. So again this is backwards, most sippin’ happened before or while eating, but I’ve got to say that this game plan also screwed me in the sense that I ended up dropping a lot of money on booze at this event. 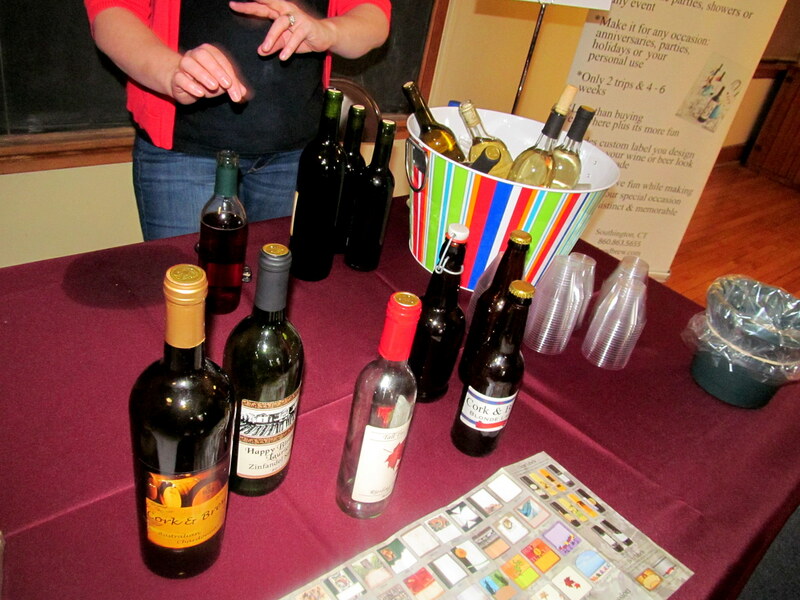 Many booths offered very discounted prices on wine if it was ordered that night. How could I say no?! Well I could’ve walked away, but I did not. 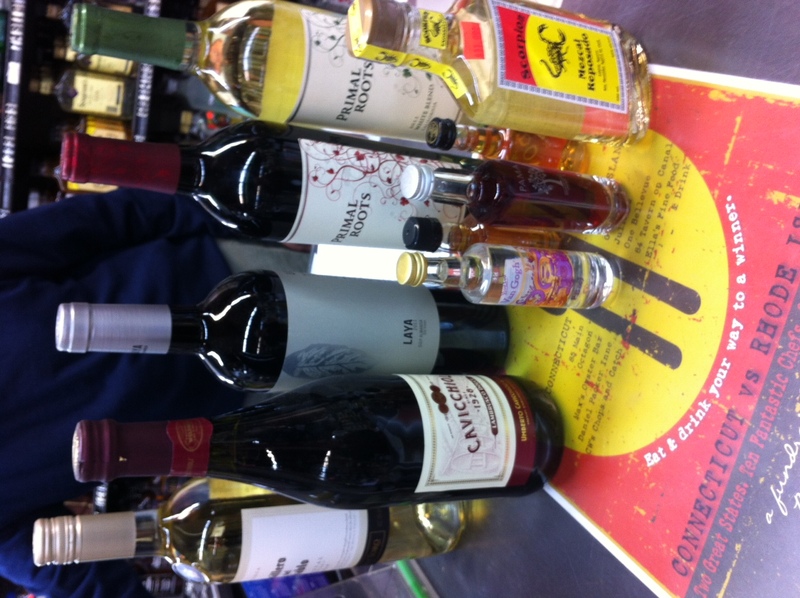 I haven’t even picked up everything I ordered yet, but when I went to pick up my first order at Buy-Rite Liquors, I ended up doing a wine tasting there at 10am and buying more liquor (including the PB&J vodka) than I’d ordered at the event. OH WELL. The cashier (and manager/owner?) was SO kind and showed me all sorts of new and cool stuff they had! I can’t recommend this package store enough for those in CT. Great prices too. Katie knows them well! I drive past Back East Brewing Company in Bloomfield whenever I drive from work to Glastonbury, but never noticed their sign on the building until a month or so ago. The knowledgeable employees/brewers spent a lot of time speaking with Rachel, me, and another patron about all four beers they were sampling and some others that were coming out soon, including a double-strength Imperial IPA (released 4/19) that I bet my mom would be all over. My favorite of the four above beers (their year-round offerings) was obviously the Back East Porter, but I can truly say I enjoyed all four! 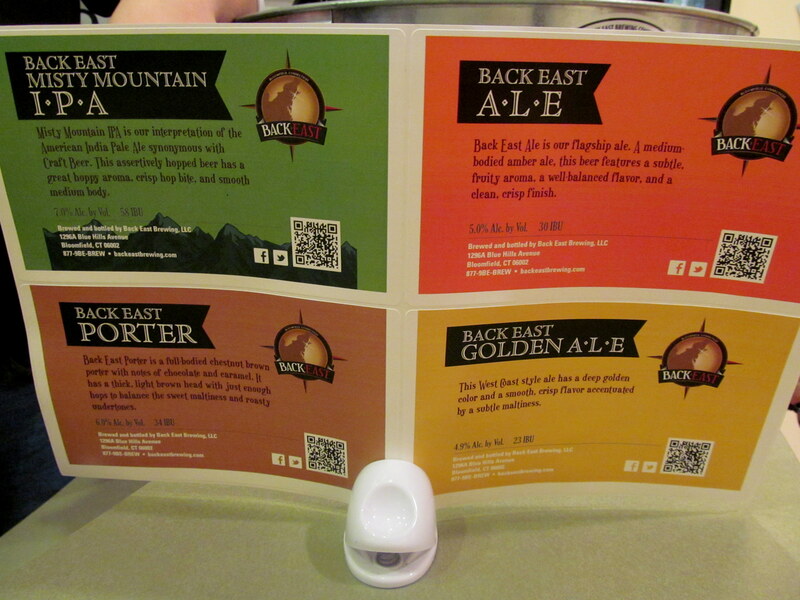 Especially the Misty Mountain IPA, which put me in a summer mood. 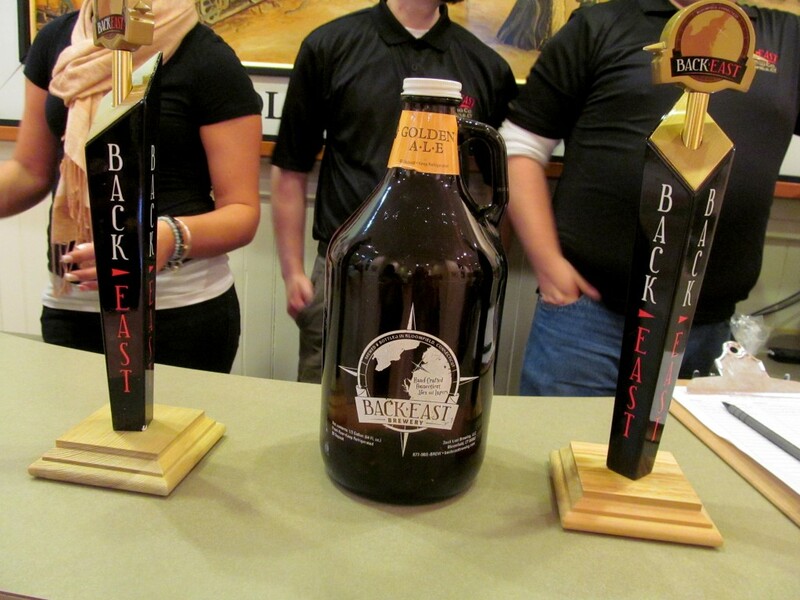 The Back East tasting room Wednesday through Saturday – and they give out samples! Brewery tours are given Saturdays too. Check out the Back East website for more info – madre and I definitely want to go this summer. 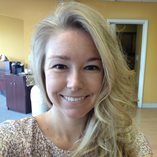 Cork & Brew is a make-your-own wine/beer/soda place out of Southington (they just opened a banquet hall too for parties!) and they were pouring some of their house-made wines. I know I often say I don’t care for certain types of wines, liquors, or beers, but I have never really tasted a wine that I couldn’t see some sort of merit in. I hate to say that I could literally see no merit in the two wines I sampled – a super sweet red and a Chardonnay – and Rachel could not either. However I’m sure there’s someone out there who would like them. 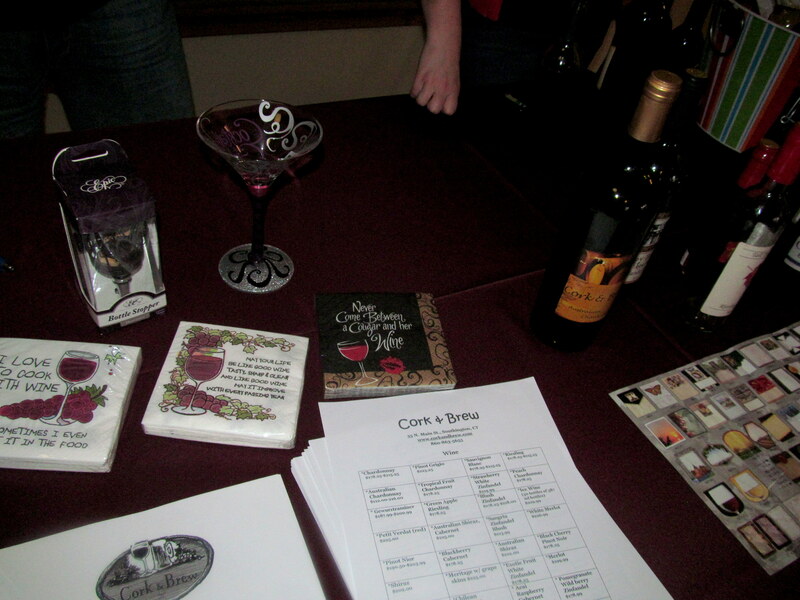 I do think Cork & Brew’s concept would be great fun for a party or just a girls’ night out, and they do fun events too. 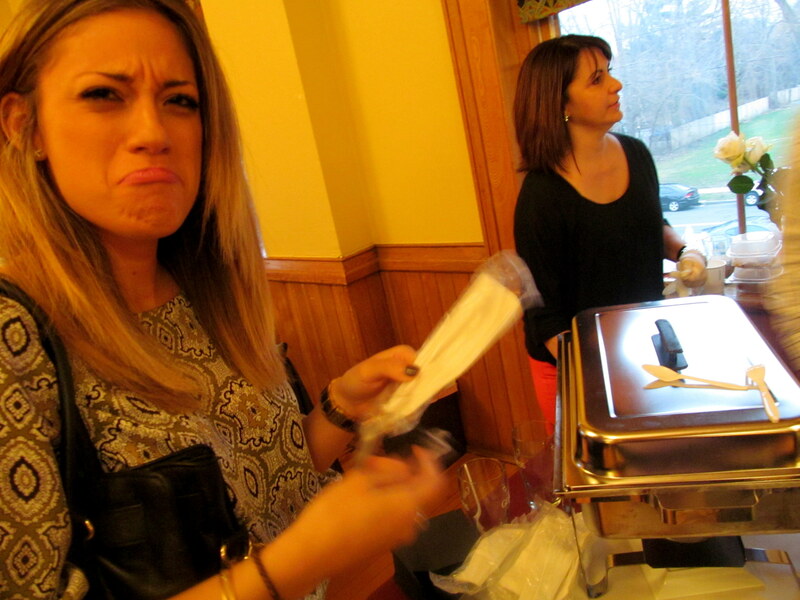 But I hope the other wines available for making taste better than those they were pouring! I am a sucker for wine paraphernalia! I told my fave bartender Andres that these napkins belong at Rooftop120! 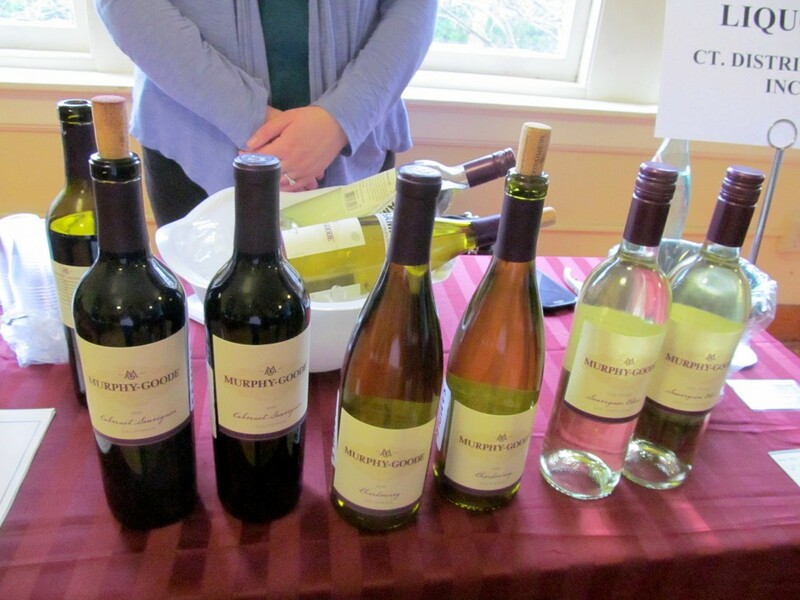 Thankfully we proceeded directly to another Buy-Rite Liquors table to sample Murphy-Goode wines from Sonoma. Rachel especially enjoyed the Chardonnay. 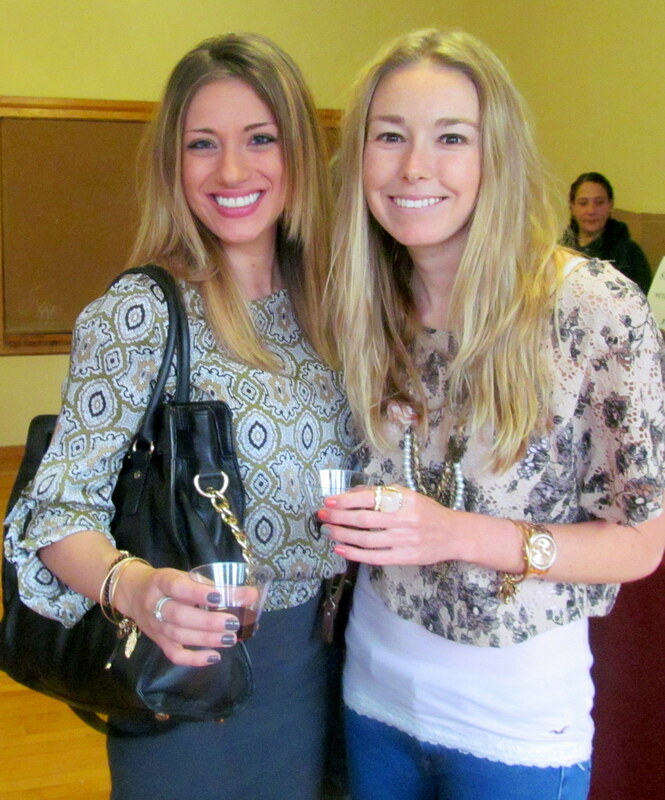 Major props to the girl pouring the wine for getting a classic pic of the evening (one of several, you’ll see). 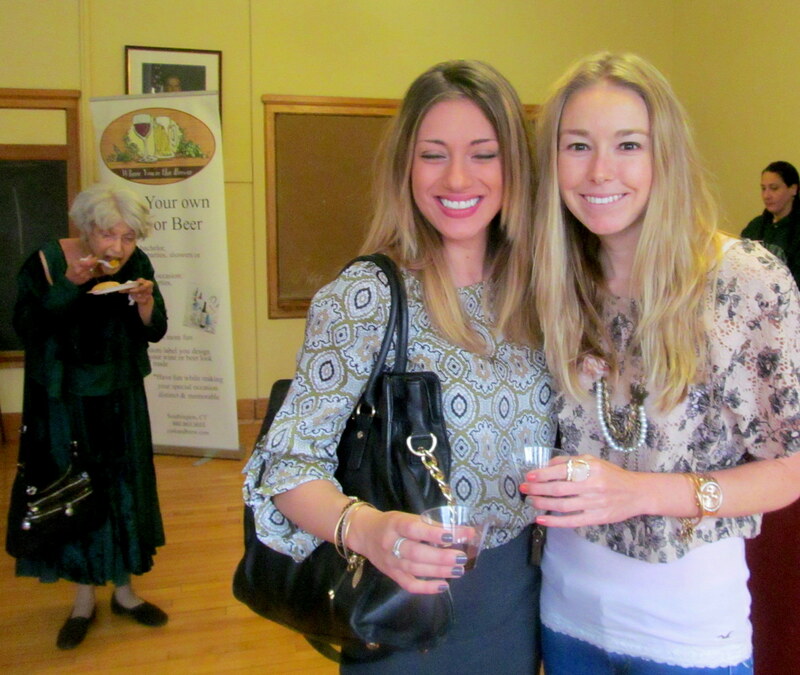 What do you notice first, Rachel’s hidden eyes or the old lady killing it in the background? That woman is me in 60 years. Can we also please take a second to oggle Rachel’s gorgeous Michael Kors top? She probably feels very uncomfortable right now. And I wore my Mikarose necklace! 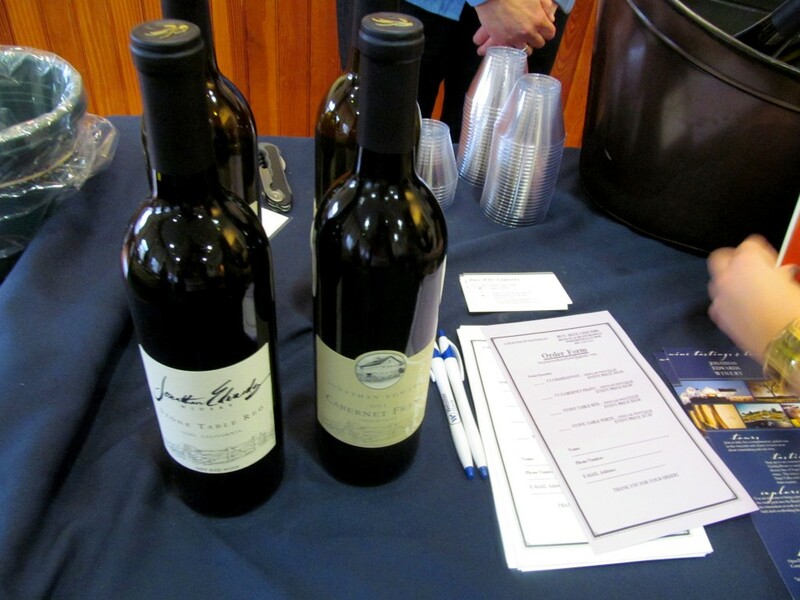 Neither of us bought any J. Edwards Winery (local, from Stonington) wines because they were on the pricier end of the available wines for order at the event. 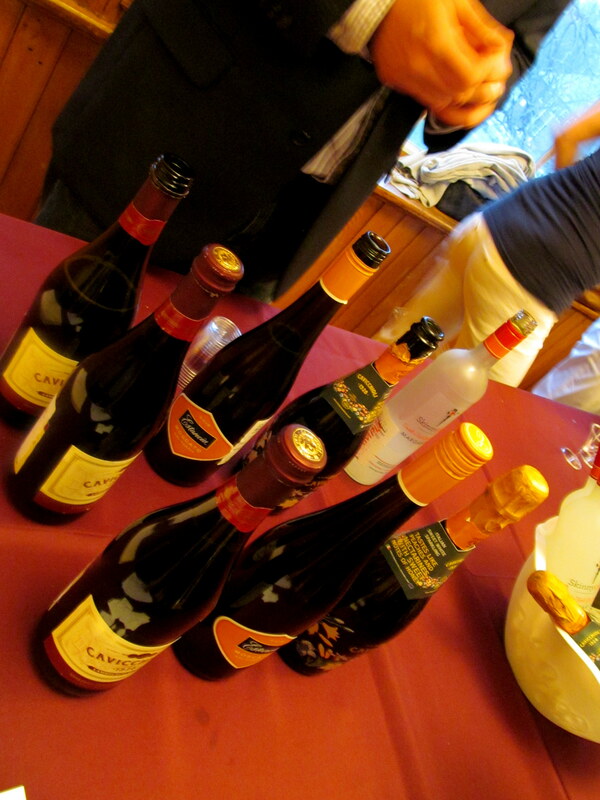 However we sampled them all and enjoyed every last drop, as I have whenever I’ve sampled their wine. A visit to the vineyard itself is high on my list – I plan to attend the outdoor Spring Festival in June since my weekends will be more free after graduation! I’d told Rachel that last year American Harvest Organic Vodka poured a cocktail WAY too sweet – as in orange juice AND Sprit. As we approached the booth she burst out laughing because the girl working the table was in the process of pouring copious amounts of Sprite into their cocktails. I stopped her and asked for a couple soda-less glasses. I want these plastic martini glasses for my house. 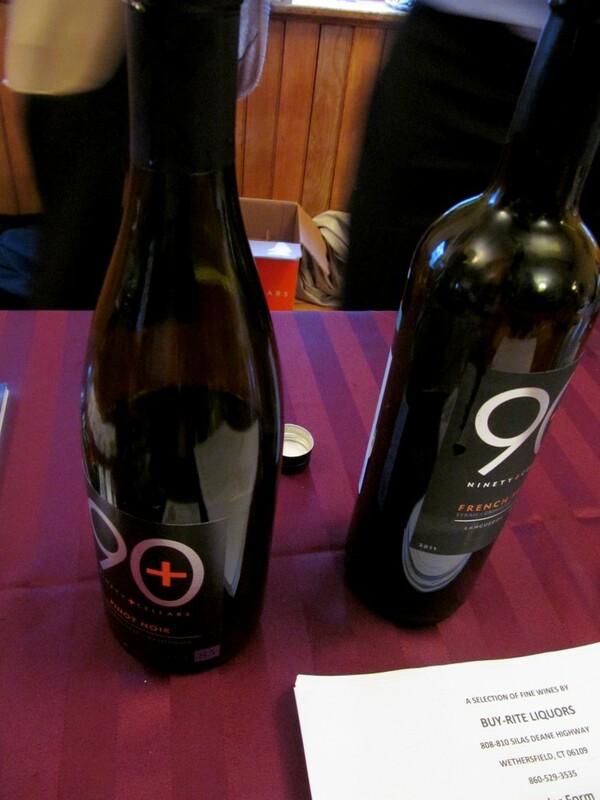 The 90+ Cellars red wines are those I chose to pair with my Village Pizza sample from earlier in this post. I enjoy these every time! 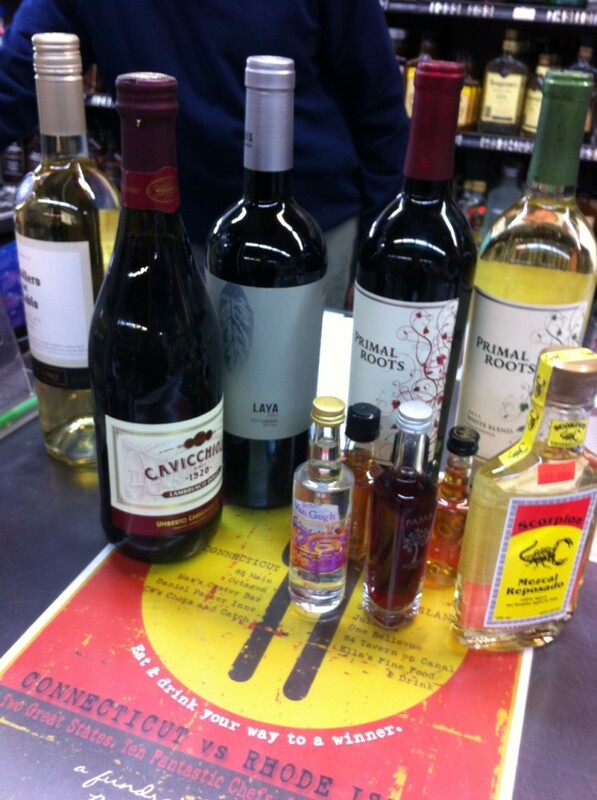 At this point in the evening I started being very liberal with the order forms I filled out for wine. I was just havin’ a grand old time. 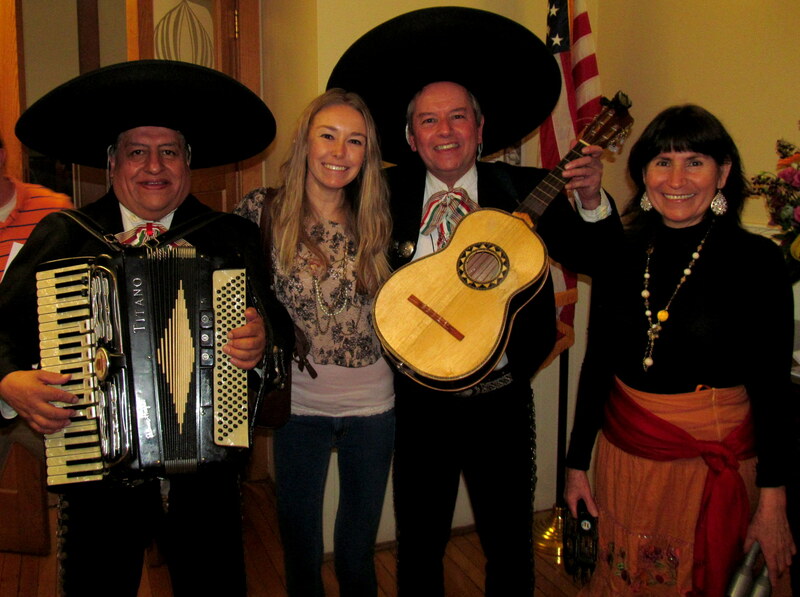 How could I not when a mariachi band was present?! 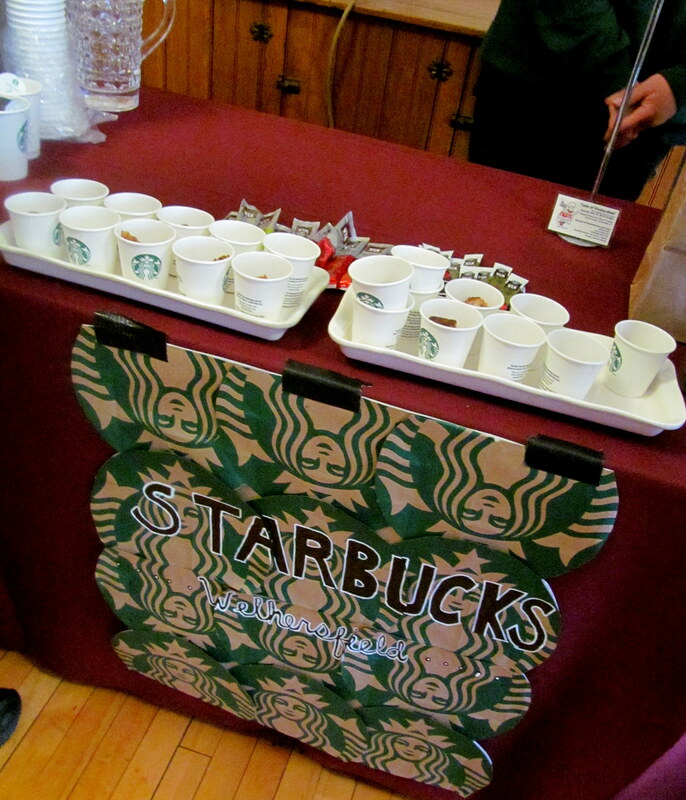 Thanks to Rachel of Wethersfield Historical Society for these great pics and for inviting us to the event! I casually bid on the silent auction Onyx Moonshine gift basket (bottle of moonshine, local The Farmer’s Cow iced tea, cutting boards & stand, lemons, limes, cocktail recipes) during my shopping spree and was surprised to get a phone call a few days later telling me I’d won! I went from shocked to glad I could contribute to the evening’s cause to super pumped when I picked up the awesome basket. Well on my way to being the next Signature David?! I purchased a bottle of the wine on the left – an amazing deal at about $8 for the bottle. We also tried the pictured newest Skinnygirl Margarita flavor just so, to quote Rachel, “We could hate it”. We both cannot stand the Skinnygirl pre-mixed cocktails but were curious enough about the new Sweet N Tart Grapefruit variety to sample it. Obviously our closed minds did not help us and we didn’t like it. Other wines from the evening that I purchased included Primal Roots Red Blend and White Blend, and Laya Red Blend, which I am pumped to open on a special evening because it’s 70% Garnacha. 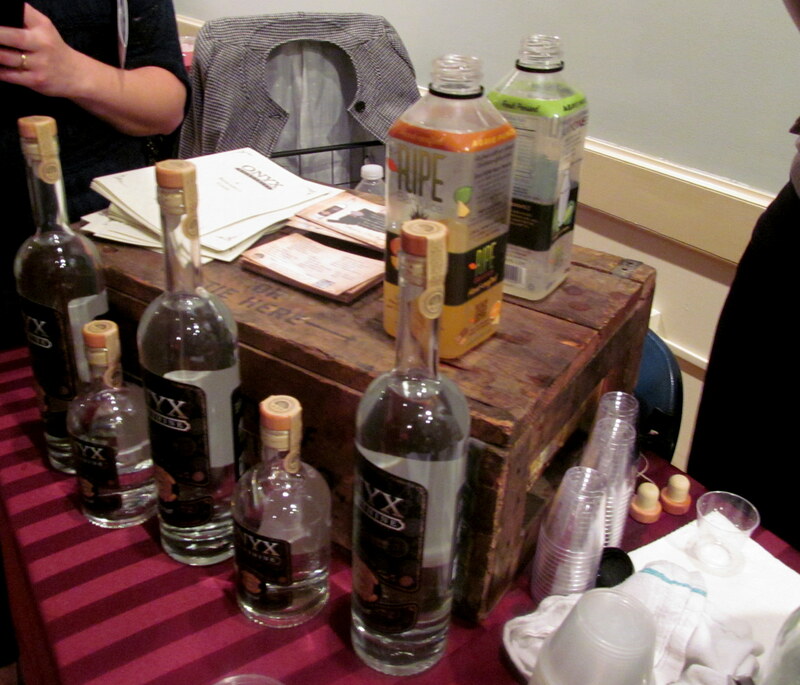 Poor Onyx Moonshine and Ripe Craft Bar Juice were stuck in some obscure corner. I spent the whole event trying to find them and did so right before I left. Good thing! I didn’t even know that Ripe would be there too! I love seeing two local companies form such a lasting partnership. I’m sure no one is surprised to see me hanging out with these two again! 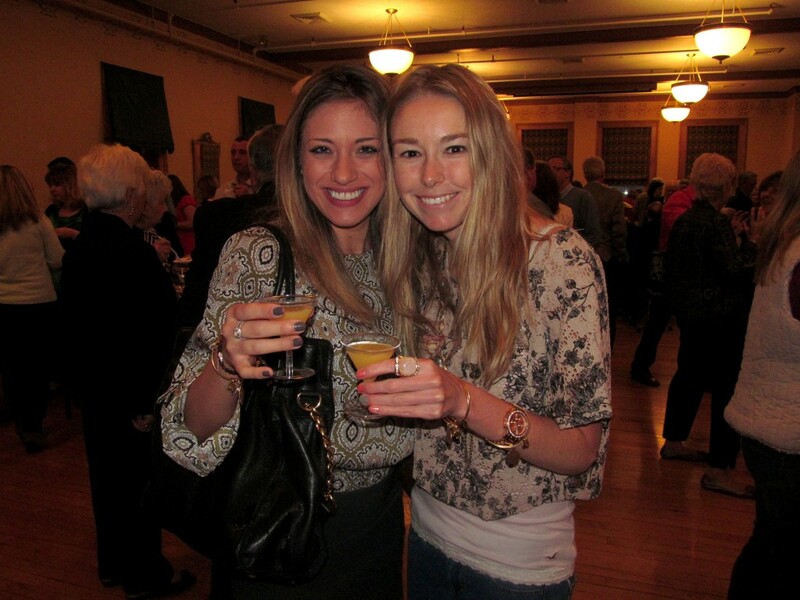 So what did we think of Taste of Wethersfield this year? 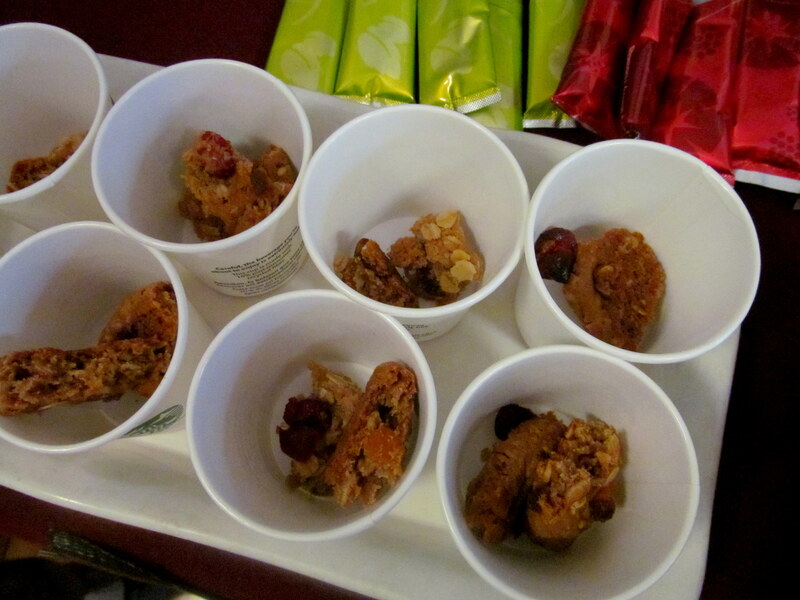 Just like last year, booths ran out of food before the event’s stated end time. In fact even though I got to arrive an hour earlier than I did last year, I still didn’t get to try everything! 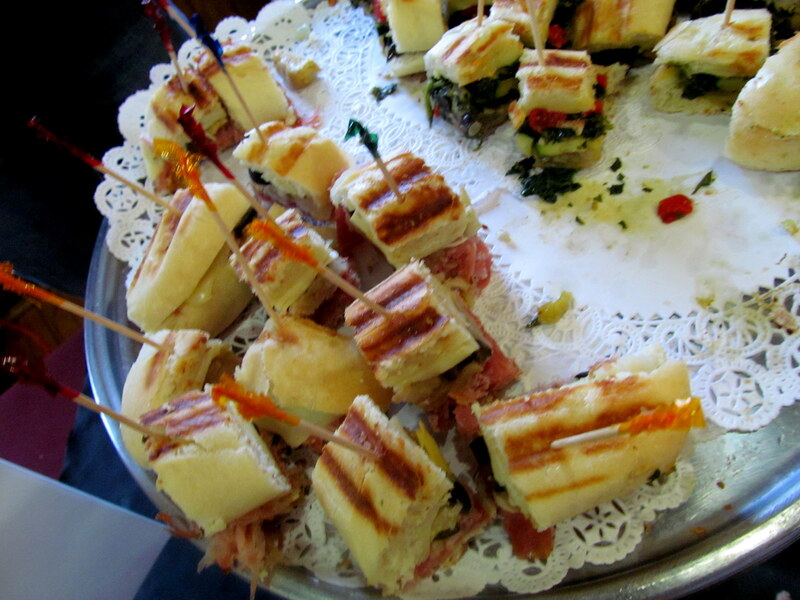 That being said, the event was well-organized and featured and impressive array of food and drinks. 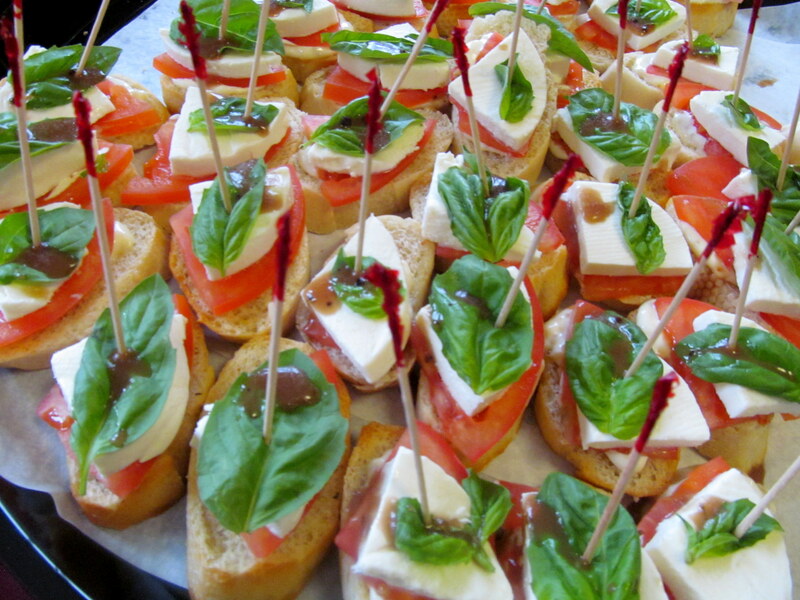 In fact I’d say that there were more drinks than food – a better balance would have been preferable. 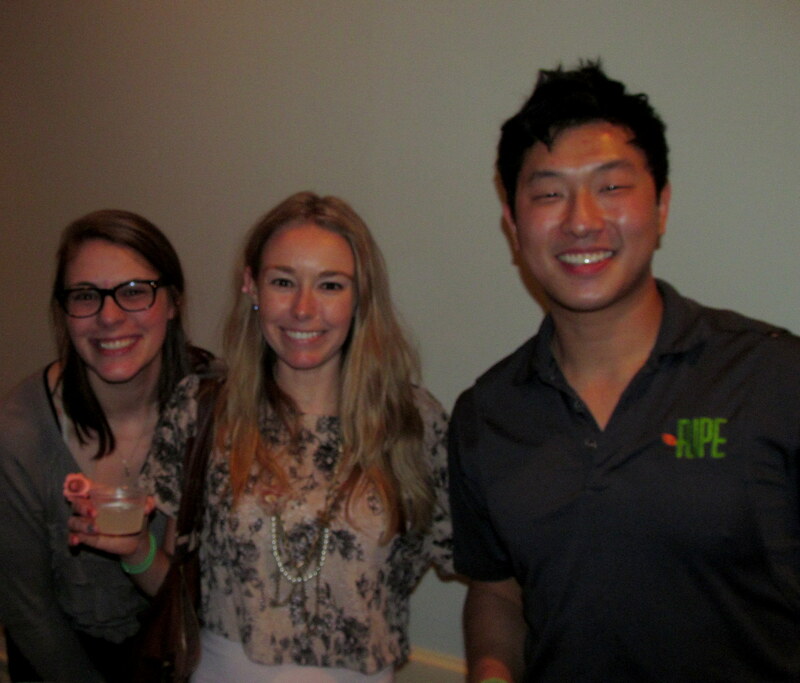 What WAS preferable was the awesome deals being offered on said drinks – can’t mess with event pricing. 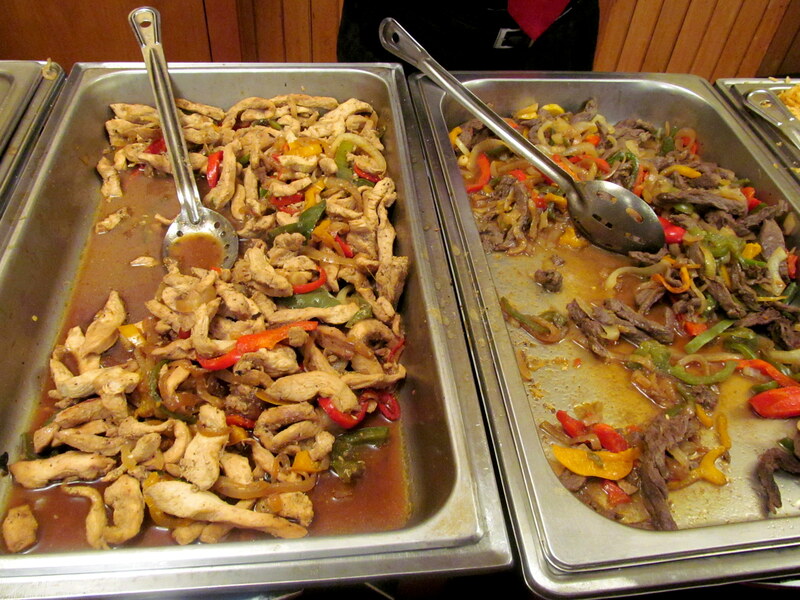 The restaurants served a nice variety of food and there were plenty of options for almost any taste (except vegans perhaps). The ticket price CANNOT be argued with. Just $30 for general admission for that much food and drink?! I don’t know if I’d pay a $20 increase (the patron ticket was $50) to go just an hour earlier in the future, especially when I still didn’t have time/there still wasn’t enough food to try it all. But I was all over the $30 general admission last year and have to say this is the BEST value of tasting event for the money I have ever seen! So I would totally call Taste of Wethersfield a can’t-miss event, especially at general admission pricing. Next year’s 9th annual event already has a set date – April 12, 2014. This hyper-planner is LOVING that. 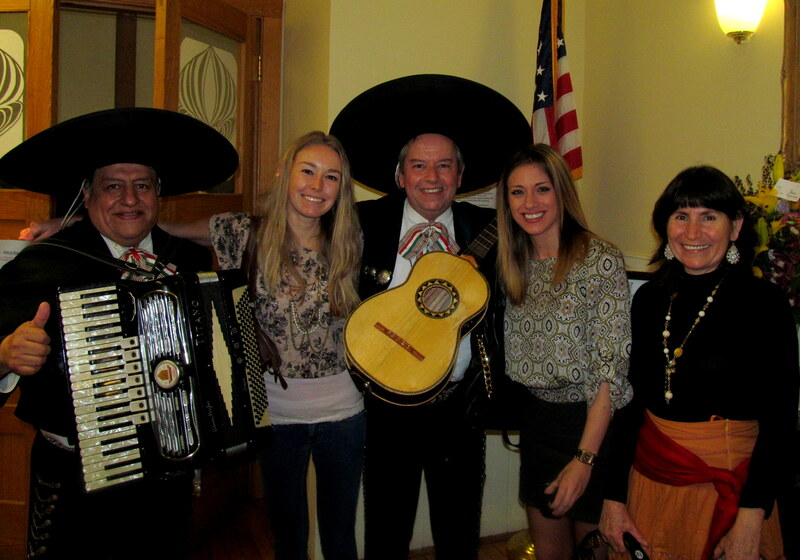 Thanks to Rachel and the Wethersfield Historical Society for having us! I received my patron ticket free of charge, however all opinions are honest and my own. This is not a sponsored post. Have you ever drank and shopped before? I equate it to grocery shopping hungry. Which bite and/or beverage looks best to you?